“In this book we found truth and life,” says a 72-year-old widow. At age 72, Su Feng* has lived a long, hard life full of poverty and work. Today, she struggles to survive as a widow caring for her 95-year-old mother-in-law. But you would never know the trials she endures from the smile on her face! 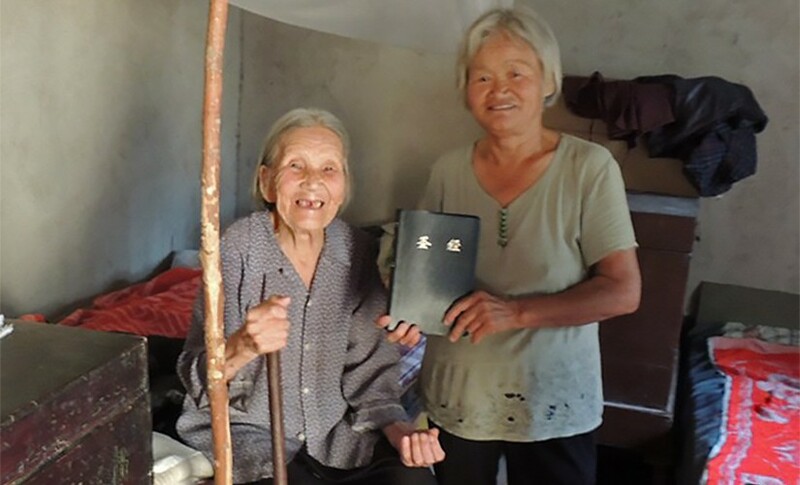 Su Feng says her joy comes from what she discovered in the book she holds close to her heart … her Bible provided by Bible Society friends like you. Su Feng continues to read the Bible daily to her mother-in-law, whose poor eyesight prevents her from reading it herself. Not long ago, Su Feng’s mother-in-law was injured in a fall. At one point she was near death but survived. God’s Word provides them comfort and hope in this difficult time. 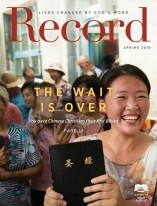 We are grateful for American Bible Society’s financial partners who empower people in China and around the world to be lights of hope through Scripture. Through their continued support, we pray even more people like Su Feng will know God through his Word.